Fraudulent ads are one of the most common methods scammers use to take advantage of Facebook users. These ads are a nuisance at best, and can link to harmful malware at worst. The company has vowed to crack down, but these promises weren’t enough for one British lawmaker who slammed the social media giant this week for hosting fake ads. The dust-up started when user Gavin Sheridan uncovered a scam Facebook ad with the headline “Richard [Branson] Hacks Multiple Crypto Exchanges!” The link took users to a fake CNN page, which in turn sent them to a page promising a way for users to win free bitcoins. 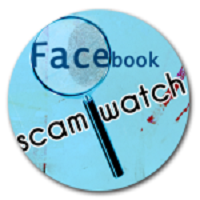 The scam also featured links to pages which have previously been accused of stealing Facebook users’ passwords. Facebook removed these ads after the company was notified about them through media reports. However, British lawmaker Damian Collins expressed skepticism over the company’s intentions, and blasted it for hosting the fake content. Though this may have happened across the pond, it’s still reassuring to see lawmakers willing to stand up and fight Facebook on behalf of its users.